Looking for an Extreme Performance Summer tire that will perform at the track rain or shine without breaking the bank? 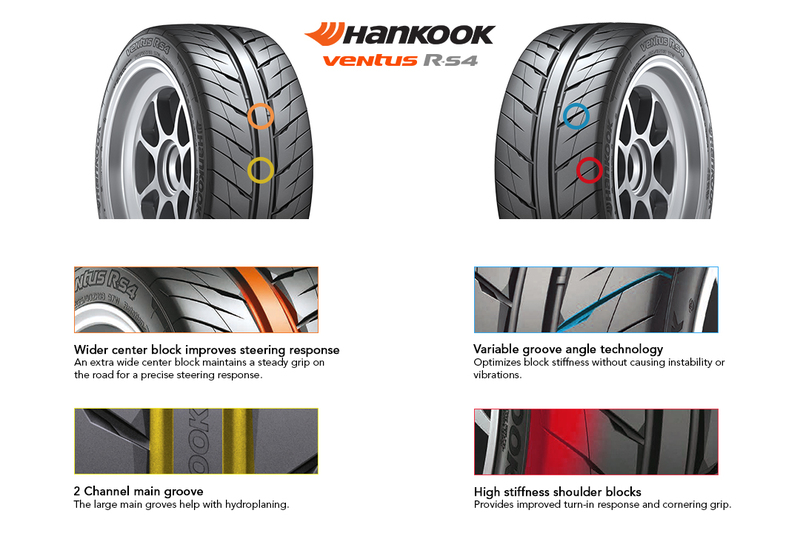 The Hankook R-S4 is the successor to the widely popular RS-3. 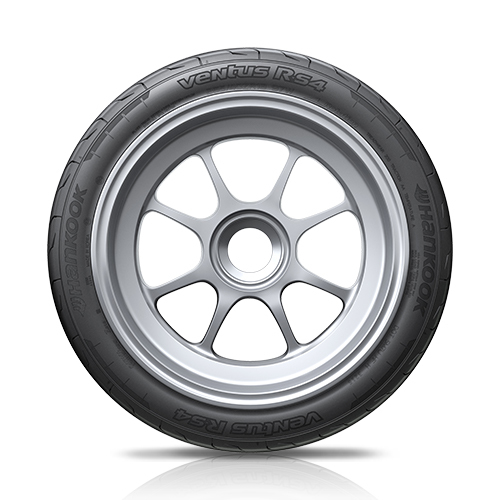 The R-S4 was developed for those seeking near-motorsports levels of grip for track events, autocross and drifting in a tire that can be driven on the street. An extra wide center block maintains a steady grip on the road for a precise steering response. Variable groove angle technology optimizes block stiffness without causing instability or vibrations. The large 2 Channel main groves help with hydroplaning. High stiffness shoulder blocks provide improved turn-in response and cornering grip. Improved silica blend improves performance in cold temperatures while innovative resin blend improves rigidity and heat generation. 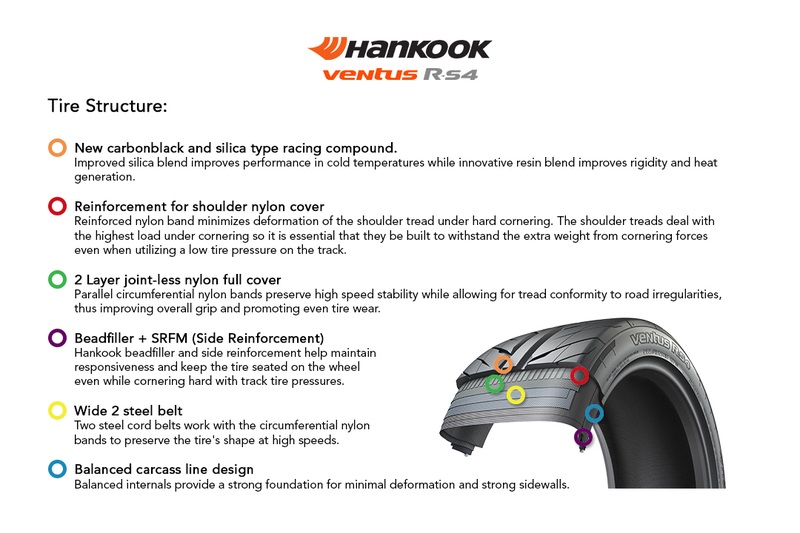 Reinforced nylon band minimizes deformation of the shoulder tread under hard cornering. The shoulder treads deal with the highest load under cornering so it is essential that they be built to withstand the extra weight from cornering forces even when utilizing a low tire pressure on the track. Parallel circumferential nylon bands preserve high speed stability while allowing for tread conformity to road irregularities, thus improving overall grip and promoting even tire wear. Hankook beadfiller and side reinforcement help maintain responsiveness and keep the tire seated on the wheel even while cornering hard with track tire pressures. Two steel cord belts work with the circumferential nylon bands to preserve the tire's shape at high speeds. Balanced internals provide a strong foundation for minimal deformation and strong sidewalls.